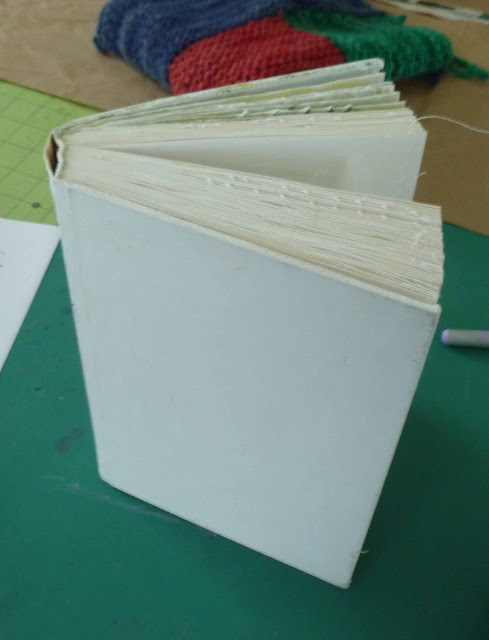 This is a book I started to get ready for an altered book project. First I sewed 3 or 4 pages together both by hand and with a sewing machine. 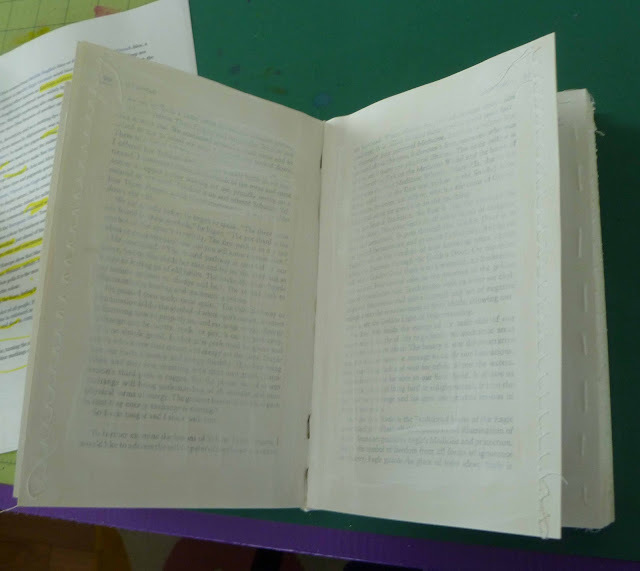 Then I gessoed the pages. I'm liking this a lot.